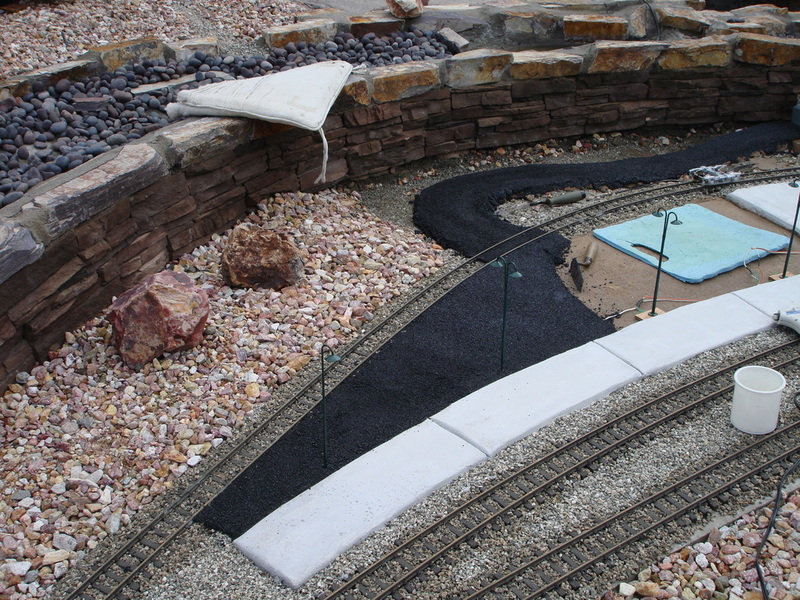 Asphalt is a great way to add roads or parking lots to your railroad and the process described below will show you how to add asphalt to your layout. The asphalt is a mix of sorts. First, I lay down a concrete foundation where the asphalt will be. This way, you can walk on the surface and don't have to worry about cracks in the future. I buy black crushed rock from A1 Grit company. 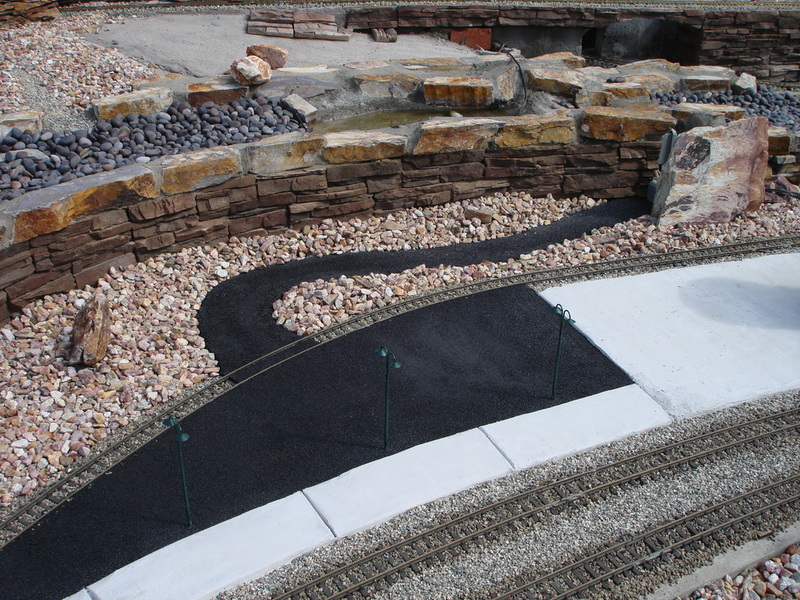 There are multiple colors so you could lay down green for grass or brown for a dirt road using the same process. Then, go pick up some non-diluted concrete glue from either Lowes or Home Depot. Once you have the materials, you can make up a batch. I always make small batches at a time so you can manage the material. I scoop out a couple small coffee cans of rock into a container. Then pour a little water into the rock just so the rock is damp - not wet. Next, pour in the white concrete glue and mix until the batch is white. Too much glue will never hurt. 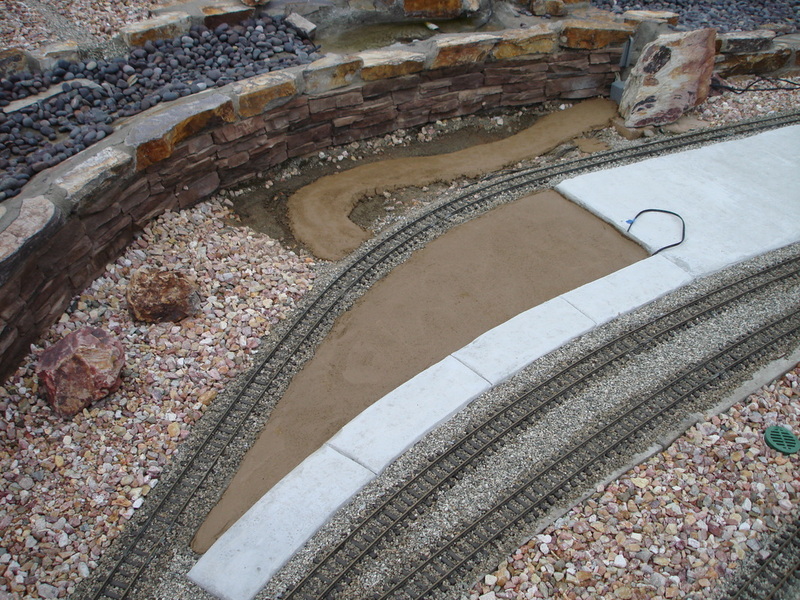 Once the batch is ready, smooth out material on the concrete surface just as you would working with concrete. The glue will dry clear and the tools will clean up with water. 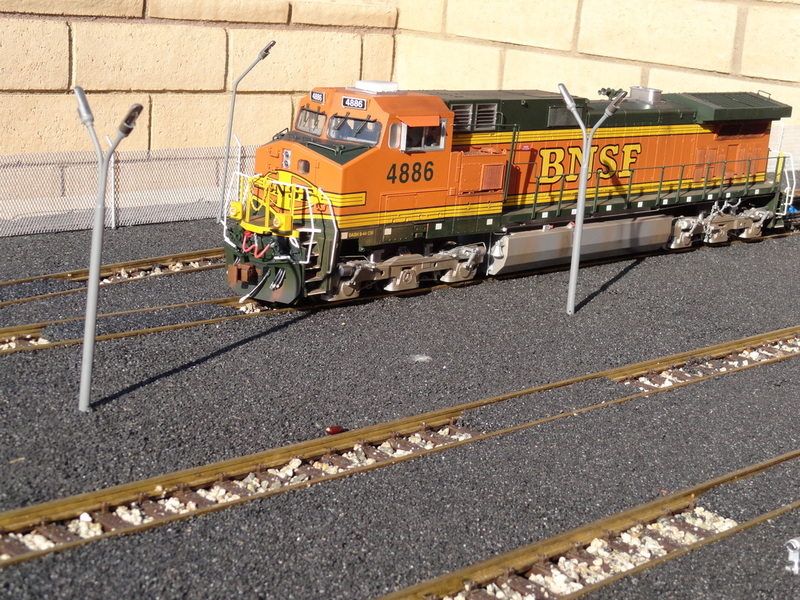 A few tips: If you are running track power, be sure to clean the glue off the rail heads before it dries. 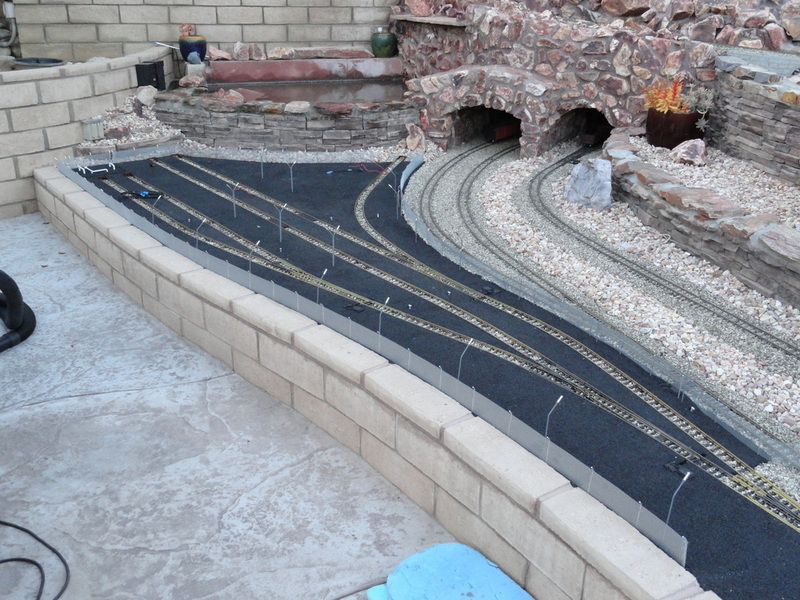 Secondly, for asphalt between the rails, I put down strips of plastic that I can fill the asphalt up to. When the material is setting up, I gently lift out the plastic - this way the webs of the rails are clean and will not cause derailments. 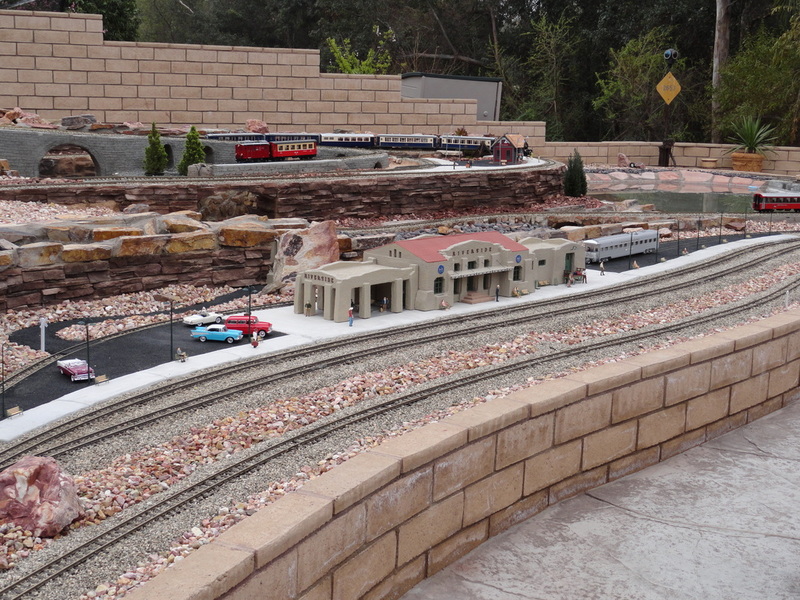 Also, I always leave the asphalt between the rails below the top of the railhead for several reasons. 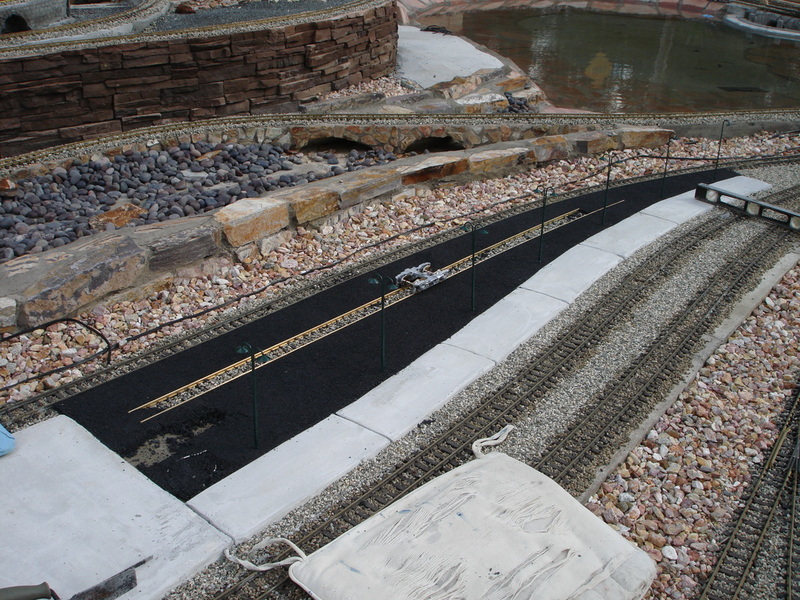 One, so no reed switches or low hanging equipment scrapes the road and two, a track cleaning car will not get beached on the asphalt. Finally, my last tip is that this must be placed on a concrete surface, otherwise, you are just asking for trouble!